At the front of the HealthLeaders Magazine, they have a FactFile every month with data from Truven Health. The one from March 2014 focused on price variation and transparency. I thought I’d share a few of the charts. 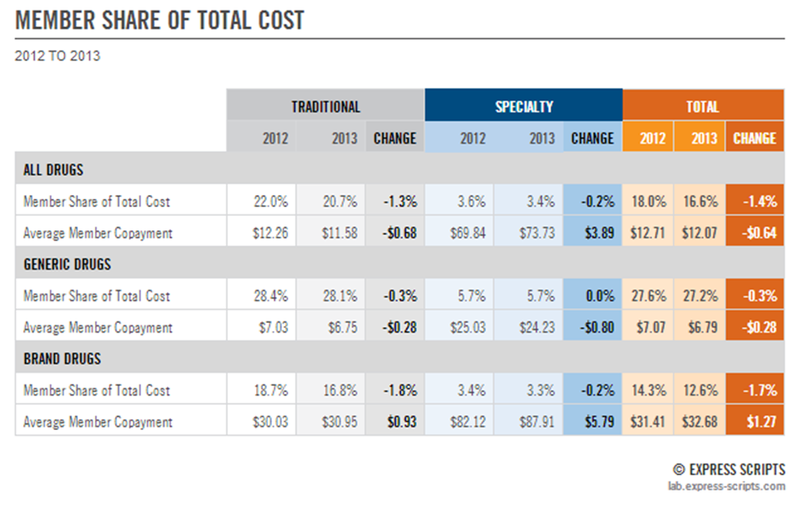 This first chart shows their projections about the impact of a price transparency tool on cost savings over three years. (BTW – If you’re looking for information on price transparency tools, I would go to Jane Sarasohn-Kahn‘s blog HealthPopuli and look at her posts on transparency – Part I, Part II, Part III, Part IV, and Part V). Their projection was $6,786,000 in year 3 for an employer with 20,000 employees (or about 46,000 total covered lives if you assume a ratio of 2.3). The other topic in the FactFile is about price variation and potential savings. 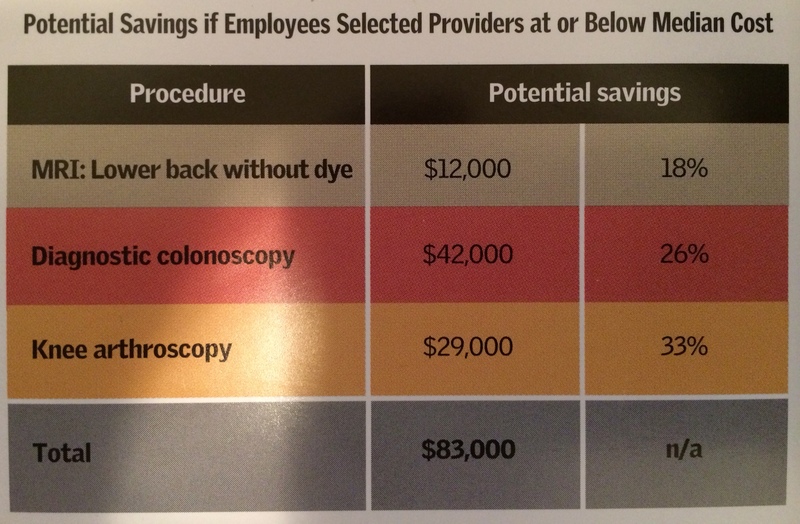 They looked at three procedures and the variation in pricing for them. 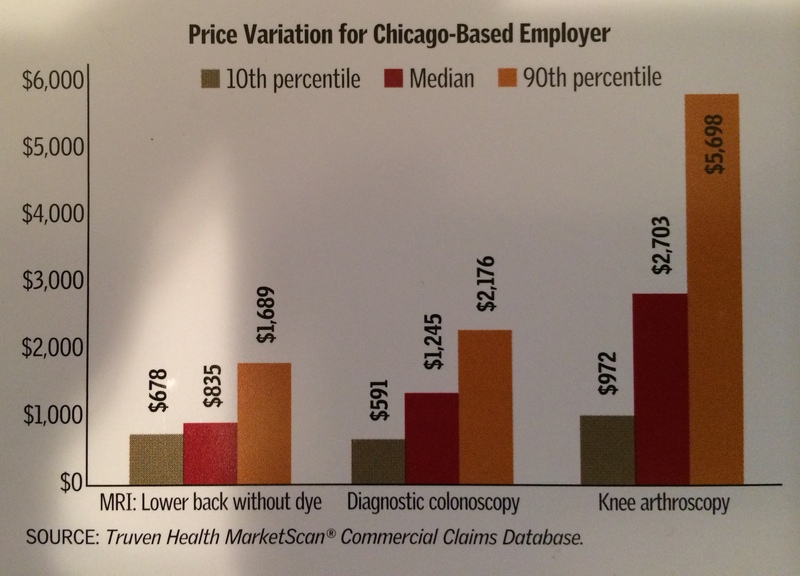 They then estimated the savings from those three procedures for an Chicago based employers. As you can see, the variation is dramatic. What this will eventually lead to is called “reference-based pricing” where payers will agree to pay a fixed amount (or reference price) for a procedure and consumers will have to use transparency tools to figure out which providers will meet that price or pay out of pocket to go elsewhere. The hope is that this will drive down prices, make consumers aware of differences, and finally help people understand that price and quality are NOT correlated in healthcare. Will Smart Sports Equipment Lead To Better Athletes? For those that are part of the Quantified Self movement, this is just a natural extension. 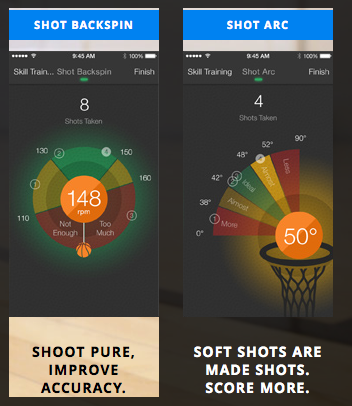 You can now measure your different sports. 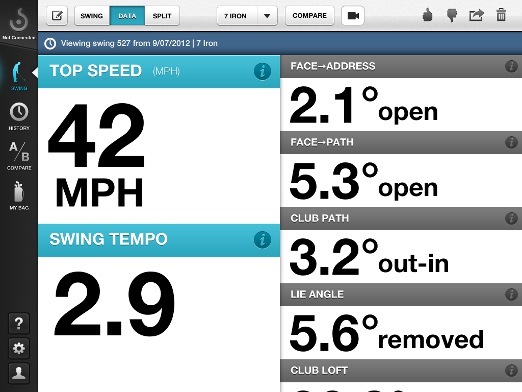 Swingbyte – a sensor that clips to your golf club to monitor speed, acceleration, arc, and other stats. 94Fifty Smart Sensor Basketball – a sensor embedded in a basketball to track shot speed, arc, and backspin along with dribble speed and force. FWD Powershot – a sensor that fits into the handle end of a hockey stick and measures speed, angle, and acceleration. 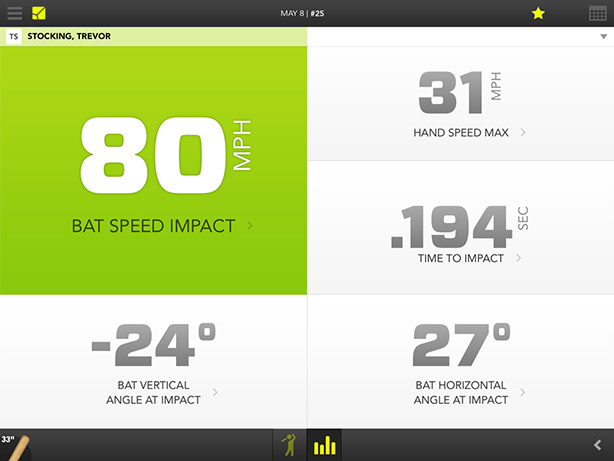 Zepp Baseball Sensor – a sensor stuck to the knob of a baseball bat that tracks the speed and plane of the swing and the angle of impact. 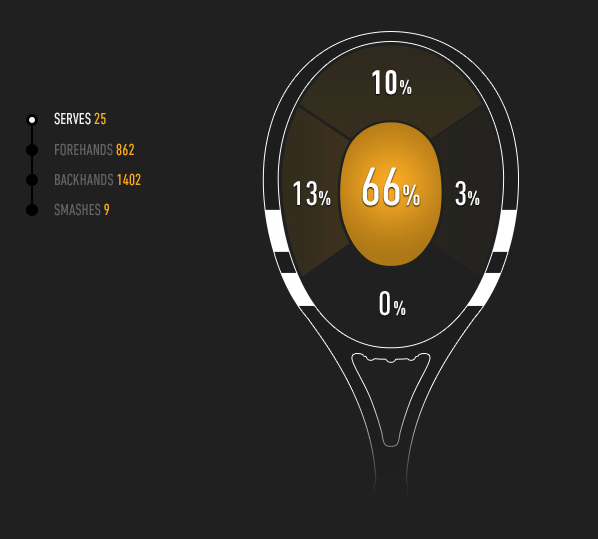 There’s also the Babolat Play which is a smart tennis racket. On the one hand, this stuff is fascinating and amazingly cool. On the other hand, who even knew that dribble force was something for me to be coached on. It will be interesting to see how athletes and coaches adopt these technologies and how they help improve sports over time. Will they increase the stress for the average athlete who was never going to be great and was just playing for fun? Will they improve everyone and help players and coaches really focus where they can make a difference? 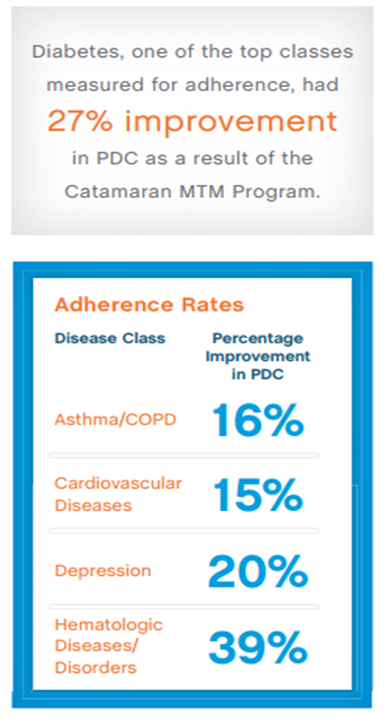 This was just one of the really great data points I got from the Medication Adherence Clinical Reference page from the American College of Preventative Medicine. It’s worth a read. Non-adherence is thought to account for 30-50% of treatment failures. Trust and communication are critical factors in adherence. I was reading an article the other day about devices like FitBit and their use within corporate wellness programs. One of the questions it was asking was why use them when people abandon them after a while. 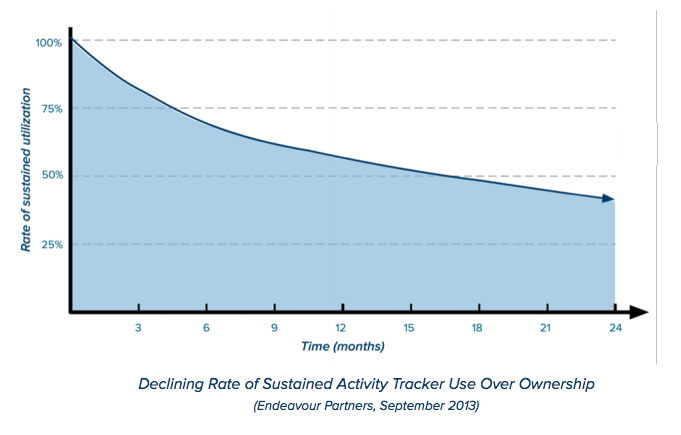 I found this great chart from Endeavour Partners in their whitepaper which looks a lot like an adherence curve. They say that 1/3 of people abandon their devices within 6 months which makes it a hard investment for anyone. It’s the same question you might ask around mobile apps. 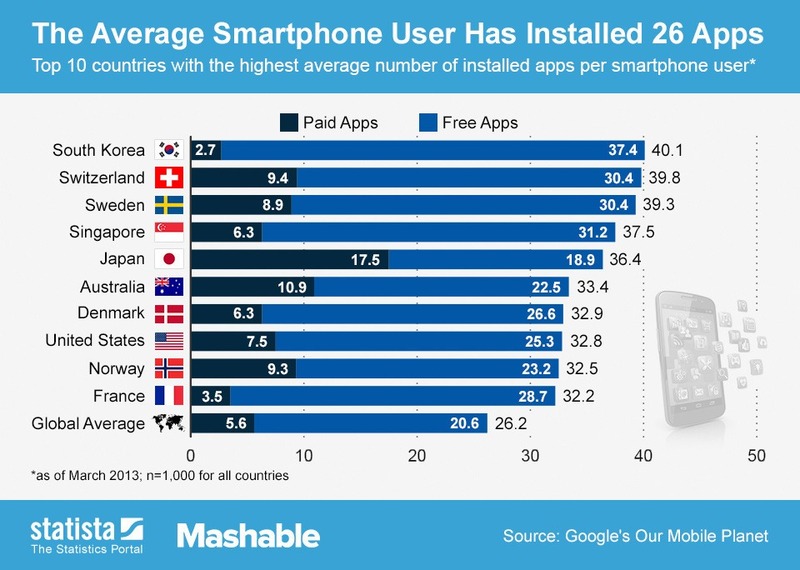 While this chart shows that Americans install almost 33 apps, the questions is how long they use them. So, what gives? Do we have unreasonable expectations? I would say yes. We live in a ADD culture where people are constantly multi-tasking. People want things that evolve and constantly change. It’s the same reason we don’t want the same experience every single day. It’s the reason that you’ve seen people from gaming coming into healthcare. They understand how to keep people engaged over time. Whether you want to picture it as a customer journey or different phases, the reality is that messaging needs to evolve with the consumer. If you got the same letter every month, at some point, you don’t even pay any attention to it. At some point, you wouldn’t even open it. When I worked in healthcare communications, it was the same challenge from a strategy perspective. How would we coordinate communications across channels? What would the first message say versus the fifth message? How do you avoid message or channel fatigue? It’s the same thing in the digital or device world. So, I ask the question…do we have unreasonable expectations about these tools by thinking that we can put them out there and sustain use of them? I think so. We need an evolving, constantly changing strategy about content, community, functionality, etc. to keep engagement sustained. First CVS Caremark began offering mail order (90-day Rxs at lower cost) at retail stores (aka Maintenance Choice), and now with Specialty Connect, they are doing the same thing in specialty pharmacy. Specialty Connect was a pilot program that won the PBMI Innovation Award this year. What it does is to allow consumers the choice of getting their specialty medications at either the CVS Caremark specialty pharmacy or picking them up at a local store. This is a change since: (1) many pharmacies don’t typically stock specialty medications; (2) many PBMs require use of a specialty pharmacy (i.e., mail); and (3) specialty medications typically require some addition handling and counseling which may be difficult to do at a local store level. 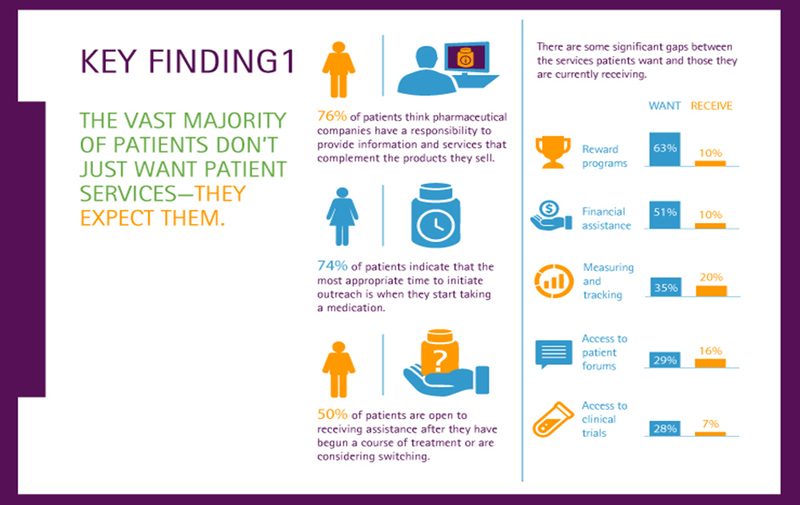 Specialty Connect has demonstrated high levels of patient satisfaction as well as improved adherence for specialty pharmacy patients. In fact, pilot program results demonstrated a 13 percentage point increase (from 66 to 79 percent) in patients who were optimally adherent to their medication. Early program results also show that the program is improving upon the patient experience and reducing traditional barriers to getting started on medication, with 97 percent of patients successfully starting on therapy after only their first interaction at a CVS/pharmacy store. In addition, more than half of patients, many of whom were existing mail service pharmacy customers, chose to pick up their specialty medications at CVS/pharmacy. 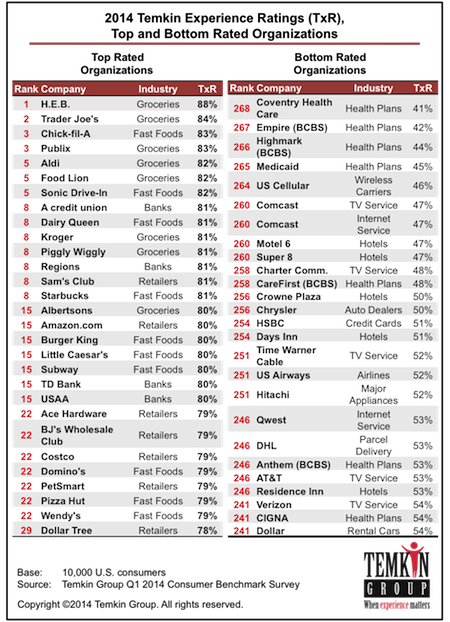 Hopefully, this and many of the other CVS Caremark successes will make people wonder why they ever wanted to break the company up into different business units. As I’ve said for years on the blog, in the press, and to many Wall Street analysts, the integration of the business units can offer huge value once the synergies are realized and the consumer experience is integrated. It’s great to offer a centralized call center to support specialty but will that be enough at the local store level? Will patients want some type of higher touch local presence? Can that be achieved through a telemedicine or kiosk type solution? I remember about 5 years ago when most specialty people thought they had to treat patients with specialty diseases differently. I kept trying to argue that they are just like other consumers. You should think about the experience across channels and at the patient not just condition level. This seems to signal a movement towards this. They are using SMS (text messages) and other channels to communicate with them which was a foreign concept a few years ago. The IMS Institute for Healthcare Informatics published a report in January called “Engaging Patients Through Social Media“. One of the things it highlighted is the incredible use of Wikipedia for healthcare information. People are typically going to Google and looking for a disease. Based on Wikipedia’s page rankings, this often leads them there. Now, what makes this more interesting is the article in the BBC News which says that 90% of wikipedia articles on health contain errors. Of course, the trick in reading the article closely is that it says they found that “90% of the entries made statements that contradicted latest medical research”. What’s the difference? Well, we know that it takes years for evidence-based medicine to become adopted within healthcare. 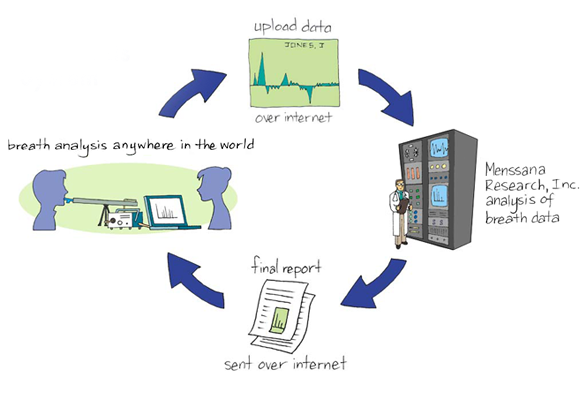 So, how long does it take the latest medical research to get updated on all the sites? What I would love to see is a comparison of Wikipedia to WebMD, Ebix, and Healthwise. That would be telling. The 5/26/14 edition of Forbes has a great article on Novartis called “Will This Man Cure Cancer?”. It’s an interesting article and Novartis has really ramped up their focus on Oncology with their purchase of Glaxo’s Cancer drugs. And, they recently got FDA approval for a lung cancer drug of theirs. A focus on speed to stop having to turn patients away from a possible cure. Cancer drugs already represent $11.2B of Novartis’ $58B in sales. Novartis has a 33% stake in Roche which has $31B in oncology sales. Gleevec was it’s big breakthrough oncology drug that Jimenez’s predecessor believed in and has been so successful that it’s a $4.6B drug where they’ve been able to quadruple the price. It talks about transforming the campus working with architects like Frank Gehry and moving research to Cambridge, MA. There is some discussion on a new therapy that they’re working on based on some initial trials which uses CARTs (Chimeric Antigen Receptor T-Cells) to attach cancer. At the same time, Juno Therapeutics is on the same trail and raised $175M in their first round to research it. I really liked one quote from Jimenez in the article that seems to imply a focus on the end goal not necessarily whether they win. He goes on to talk about the issue of pricing especially around oncology drugs (but also applicable to specialty drugs in general). He calls it “a new brutal world” because costs will go up with the aging population and new medicines which will cause more backlash against price. He talks about looking at how to be innovative about pricing which could be interesting. This is definitely worth a read. They have it nicely packaged up with a slide deck also once you register. Here’s a few highlights. 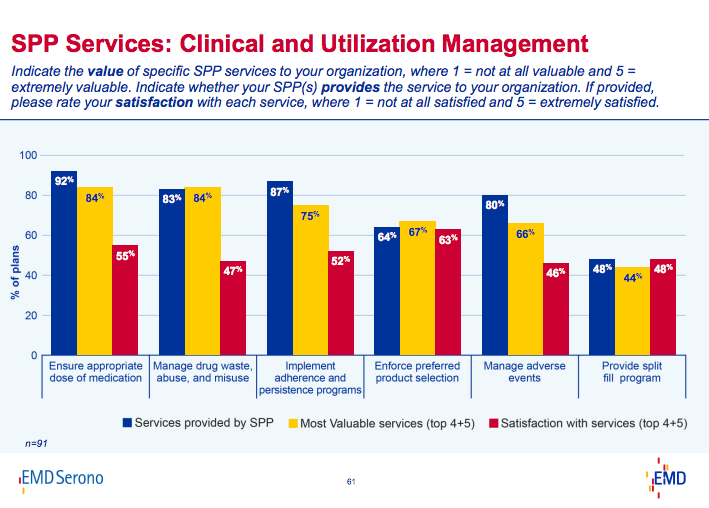 Look at the gap between perceived value and satisfaction with clinical programs offered by specialty pharmacies. Look at the huge jump in plans to educate physicians. 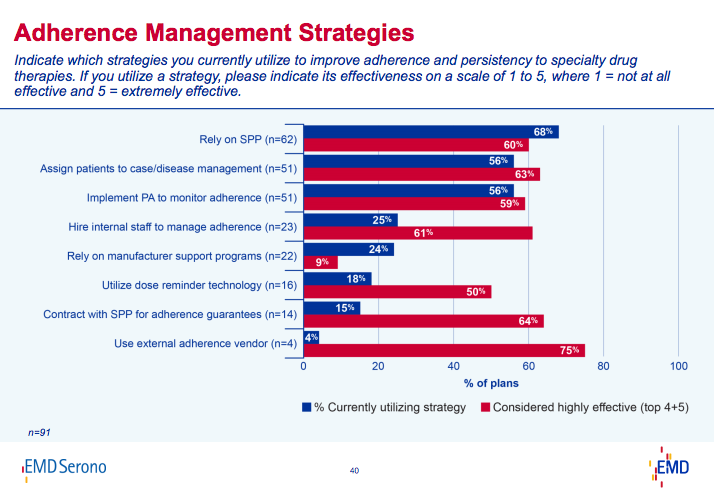 Look at the different adherence management strategies. I’m amazed at the low percentage using an outside vendor but the huge perceived effectiveness. Look at some of the benefit strategies that companies are planning to use. 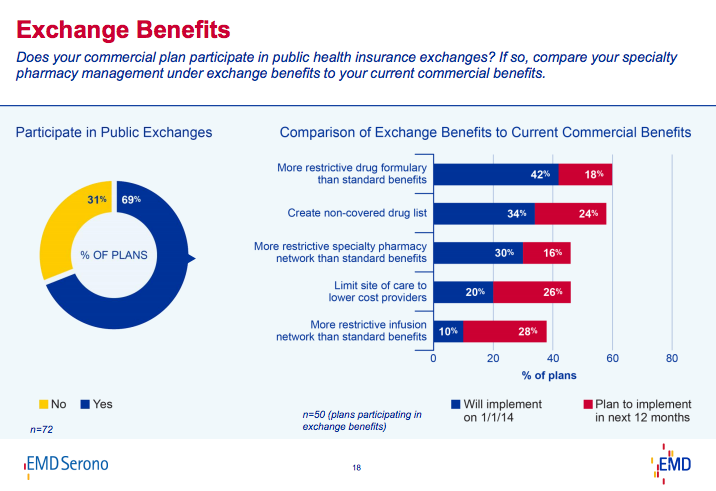 This is an interesting one that shows that companies are really going to focus on controlling specialty benefits in the exchange world in the future. This shows the variation in terms of coverage (medical versus pharmacy) for different categories of drugs. There’s more in the deck and report, but these should be enough to tease you to read more. — Debbie Stern, R.Ph., president of Rxperts, Inc., an Anaheim-based consulting firm, told AIS’s Drug Benefit News for a story on the new EMD Serono Specialty Digest. I like this quote from Debbie. It reminds me of my post from the other day “Care Is Coming To Your PBM” and is very much in line with the article I tweeted yesterday – Pharmacy Chains Continue To Blur The Line. Did the provider follow evidence-based care? From NCCN? From a particular pathway? Did they get all the genetic tests done? Did they get too many tests? Are they prescribed the right drug? Will that drug limit any future options for care? Is the drug covered on formulary? If not, are there other ways to reduce the out-of-pocket costs to the member? Is it a limited distribution drug? Do they understand the side effects of the drug and/or treatment? What does the patient want? What do they know? Do they have a caregiver? How are they involved? Are they getting the drug at the right site-of-care? Are they working with a case manager? How is their care being coordinated? Are there implications for ongoing care as a cancer survivor? How will they be coordinated? 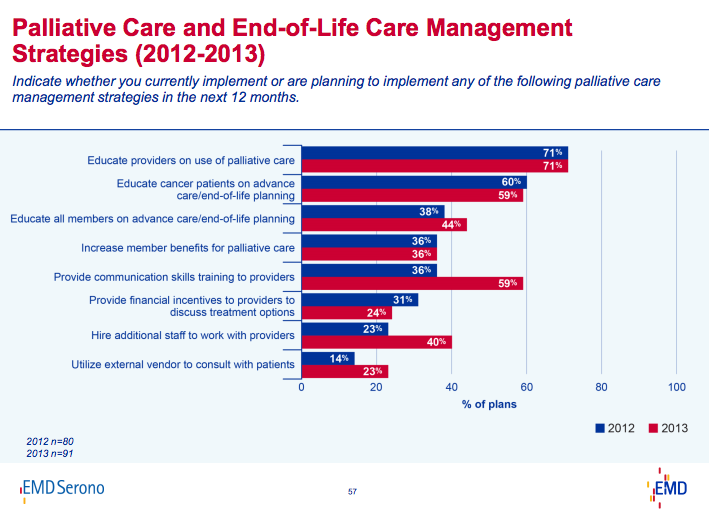 If they need palliative care, what are their wishes? Does the family, patient, and provider all agree? Cancer is a great example of where everything comes together from a care coordination, testing, diagnosis, delivery, and pharmacy perspective. At the same time, we know that patients still see multiple doctors who don’t coordinate their care. We know they get mis-diagnosed. We know that don’t stay adherent with their medications. We know they don’t always articulate their wishes. And, we know the amount of care spent in the last months of life is disproportionate (IMHO) to the minor life extension which they get (often in less than optimal conditions). I always enjoy Bruce Temkin’s reports and analysis. He just came out with his latest report on customer service. It’s not a healthcare focused report so you have to gleam a few things from his summaries although you can buy the report to see the details by company. Without doing that, I thought I’d point out a few things from his charts. 2. As it has in past years, healthcare continues to be at low end of the spectrum in terms of customer service. While you can divide up the market into pharmacies, physicians, hospitals, PBMs, and insurance companies (with many other players out there), one of the biggest groups which is covered in the survey is health insurance companies. They fall below airlines and way below other types of insurance companies – i.e., auto / home. Seems like a great opportunity for someone to help those and the entire industry to think differently about customer service and consumer engagement. Of course the question is whether this is just another one of many mobile companies making a play in healthcare or whether they’ll actually survive for a few years and get traction. But, Hubbub isn’t just another one of the many wellness vendors out there. They’re part of Cambia Health. You’ve probably still never heard of them, but Cambia is Regence which is a BCBS plan operating in Oregon, Idaho, Utah, and some counties in Washington. Additionally, they own and/or invest in lots of companies – e.g., HealthSparq, GNS Healthcare, OmedaRx, and Wellero (plus Hubbub). So, this gives them some instant credibility. And, it’s an interesting time in the market. 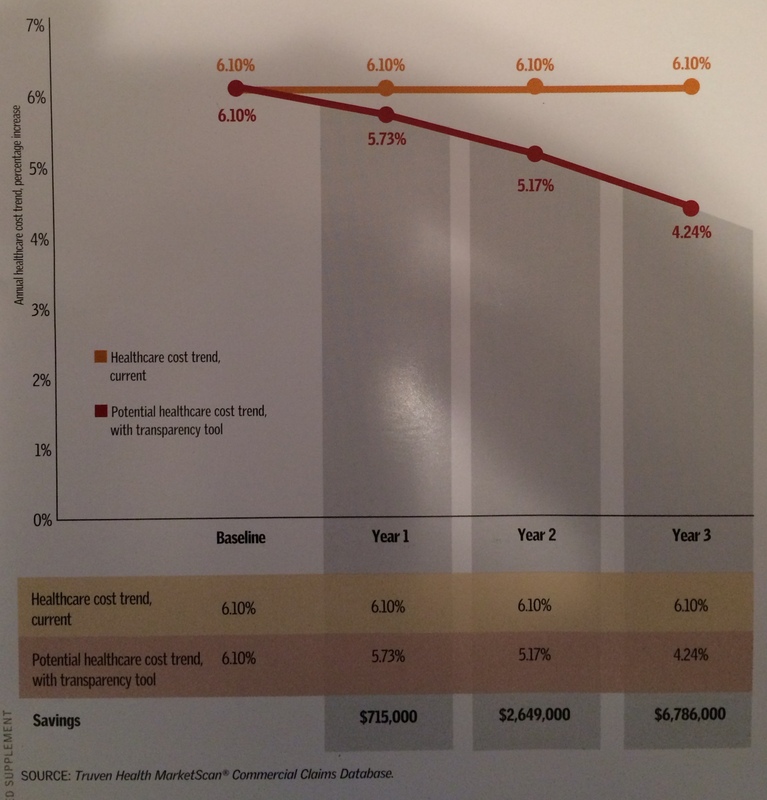 The Population Health Alliance (which used to be the Care Continuum Alliance) recently put out a post looking for contributions around “Return on Value” or VOI (Value on Investment) which is the focus these days in Population Health Management. This sounds a lot like what you see in the presentation and white paper by Hubbub. 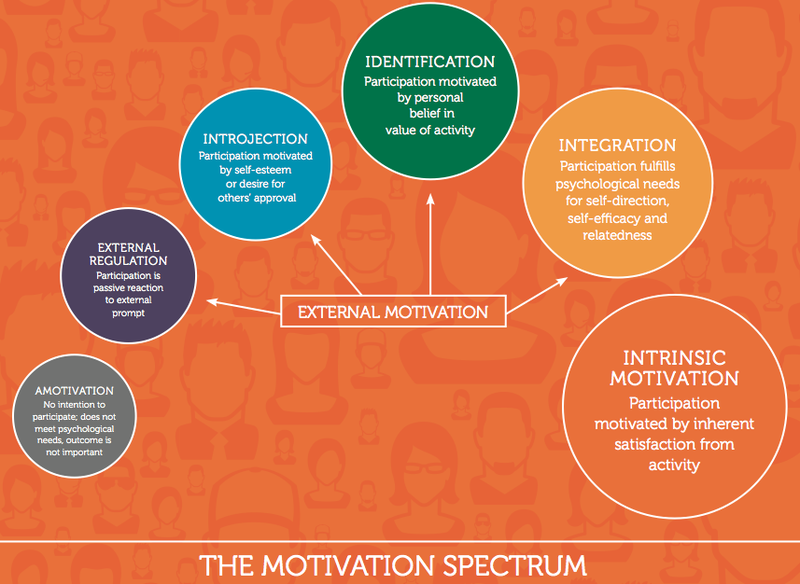 Those are foundational for a lot of the work in healthcare, and I liked this graphic about motivation. Whether the app works and captures my attention is still TBD. I did download it and register, but I didn’t really get engaged upon registration. And, the website seemed better than the mobile app, but it still had a few issues in terms of how the large top image dominated most of my screen on my laptop. At the end of the day, their key role like anyone in this space is to figure out how to engage the consumer (or patient or member or individual) as validated in a study they use. In the spirit of the Internet of Things and the Smart Home, I was intrigued by a short article I read about Menssana Research which can identify 2,000 chemical compounds from our breadth…including signs of cancer and radiation exposure. Pretty cool! I guess this explains how dogs can detect diseases in humans. Of course, my mind jumped to the idea of how you could use existing devices (like Nest) which would be tied into our HVAC system and could monitor the overall air in an entire house and look for risks based on the air. (like my idea of the smart toilet) Maybe that’s a little too scary like why an underwriter wants your cell phone data or too much like the Snapshot from Progressive. And, while on the one hand it’s cool, I’m not always sure we’re ready to know things too much in advance so the question would really be how early is the device identifying people and how accurate is it. As I’m enjoying my time thinking about what’s next, one of the things that I’ve thought a lot about key problem areas in our healthcare system. Obviously obesity is one of them. And, you have lots of companies trying to figure out what to do here. Build an assessment tool (like Milliman or InterQual) which could be used for assessing patients and creating an evidence-based care plan. Work with KitchenAid or others to create a branded line of smart devices which used the Internet of Things to do things like re-order healthy foods and suggest menus. 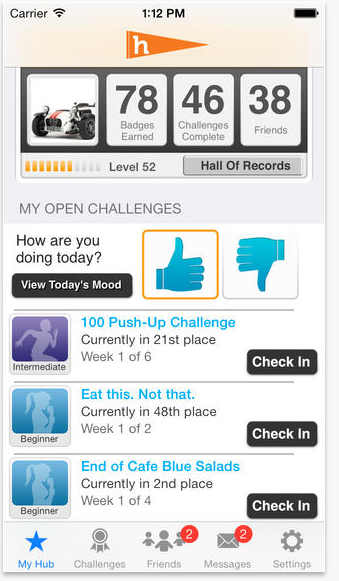 Work with Jiff’s assessment tool or with Newtopia to study the ability to take data and create personalized diet plans. Work with FitBit or other device company and a gamification company to create a kid’s device linked to a game where the key player got fat tied to their activity level and where they opened up new levels tied to their behavior (e.g., eating healthy). Create online communities for people to share stories and experiences (like PatientsLikeMe but moderated). Move from physical locations to a virtual site using American Well technology blended with Withings scales. Incorporate stress management and sleep management into the overall program. Work with Healthways and the Blue Zones effort to create a family centric option tied into the schools and focused on getting everyone healthy across generations. Create a mobile coach using embodied conversational agents (similar to avatars) to drive behavior change and create a location-based prompts (i.e., as I pull into McDonalds). Work with manufacturers to create a “beyond the pill” approach to obesity drugs that incorporates coaching and behavior change with the pill being the final mile which should drive greater formulary coverage. Create a detailed patient journey map based on ethnographic research for weight loss with different triggers and create a “Coach certification” that can be used with coaches to certify that they are following best practices. Work with biometrics companies (e.g., LabCorp, Quest) or clinics (e.g., MinuteClinic) to create an early identification process for obesity and/or metabolic syndrome with a process for them to “prescribe” a specific program. Research and design ethnic specific obesity related programs for sub-populations within the US. For example, partner with the large Hispanic groups to create a Spanish (language, experience, culturally relevant) programs. Partner with the ADA and NKF to jointly address metabolic syndrome together. Work with the AMA and medical schools to teach MDs how to treat and talk with obese patients (something they don’t do well today). Work with a grocery store or food company to create an augmented reality process for smart phones or Google Glass that would highlight healthy foods on the shelf and help people shop better. Work with Medicaid to create a process by which people earned cell phone minutes or lower copays based on activity and participation. Just some ideas that I thought I’d share. As the parent of kids, I’m obviously concerned about what they do as they grow up. On the one hand you want them to learn to make decisions. On the other hand, you don’t want to endanger them. That requires helping them to understand right from wrong. That requires helping them to make smart decisions and understand the long-term implications of them. This is where I struggle with the modern attitude towards the legalization of marijuana. While it may not be a “gateway drug” according to science, it is certainly highly correlated with future drug use, and it has a negative impact on health. Additionally, it’s addictive for about 10% of people and more addictive when you’re younger. As someone who has watched people throw away their life on drugs and the son of someone who worked in drug and gang rehabilitation centers, I personally see it as a slippery path. I agree that alcohol may be the gateway “drug” when not used appropriately and can be very dangerous for kids and for many adults who can’t control themselves. You can find lots of research on alcohol related deaths due to increased disease burden or simply drunk driving. So, like many health related topics, the information out there is very confusing for our kids. 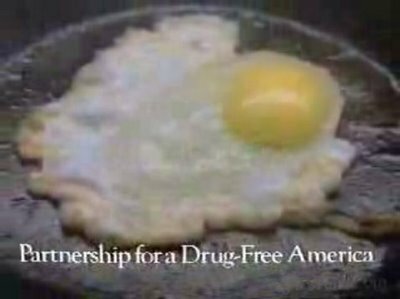 On the one hand, we point out what your brain looks like on drugs (if you remember the PSA from the 80s and 90s). On the other hand, we talk about medical marijuana, and we have states where it’s now legal to buy marijuana like Colorado. 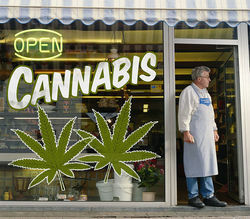 But, the idea of walking down the street and seeing cannabis stores is crazy to me. At the end of the day, I think we want to keep our kids safe and help them avoid anything addictive – tobacco, drugs, and alcohol. (And, yes…you could take this further to look at caffeine or sugars or other things that impact their health.) At a minimum, we want to help them understand the facts and make sure they know the risks and determine if they fit the addictive profile or not. They already have a hard time navigating childhood and adolescence…let’s be careful not to make it too easy for them to fall off track. Unfortunately, decisions like this have broader implications on our next generation even if they don’t actually use marijuana. Of course years ago, we used opium, cocaine, and herion as medicine also…but we outgrew that phase of “modern healthcare” so maybe this too will pass. This statement alone should scare anyone as you think about all the new consumers coming into the healthcare system. That will only stress the system more leading me to believe we’ll see bigger drops in satisfaction in the years to come. In general, I found the industries to be very tightly clustered. I’m going to reach out to them to see how to interpret that. 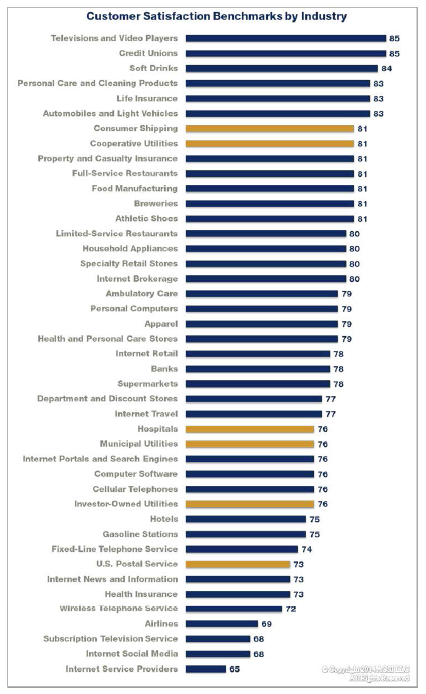 The American Customer Satisfaction Index (ACSI) is a national economic indicator of customer evaluations of the quality of products and services available to household consumers in the United States. 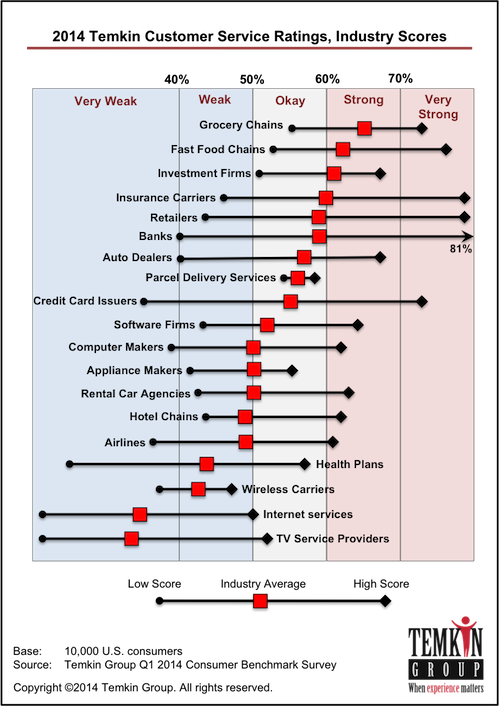 The ACSI uses data from interviews with roughly 70,000 customers annually as inputs to an econometric model for analyzing customer satisfaction with more than 230 companies in 43 industries and 10 economic sectors, as well as over 100 services, programs, and websites of federal government agencies. ACSI results are released throughout the year, with all measures reported on a scale of 0 to 100. ACSI data have proven to be strongly related to a number of essential indicators of micro and macroeconomic performance. For example, firms with higher levels of customer satisfaction tend to have higher earnings and stock returns relative to competitors. Stock portfolios based on companies that show strong performance in ACSI deliver excess returns in up markets as well as down markets. And, at the macro level, customer satisfaction has been shown to be predictive of both consumer spending and GDP growth. I’ve been thinking a lot about the excitement of being an entrepreneur or an innovator and how that compares with being a consultant. While I could find a few articles out there comparing these two career paths, I thought I would share my observations. Self-motivator – In both cases, you have to able to drive yourself. You’re responsible for your career and your success. You’re always under pressure to perform, and you’re typically part of a small, core team. It’s important that you can motivate yourself to push past the finish line. I think of both like running a marathon. Quick learner – Your role in both types of organizations is constantly changing. You’re adapting with the business and the market. This requires the ability to understand and see trends. It requires the ability to connect with clients and monitor the market. It requires the ability to learn new things and to have a desire to learn new things. Able to pivot quickly – Change is a constant in almost any role in business today, but the pace of change in the start-up world is amazing. You need to understand this pace of change and how to be a change agent in both these roles. How do you help people with the organizational change that’s required to make your project a success. PPTS – No…this isn’t being an expert at PowerPoint although that may be an important skills. PPTS stands for People, Process, Technology, and Strategy. You need to understand all four of these areas of the business. You don’t have to code to be a great consultant or entrepreneur, but you need to understand technology and its impact on business. Think and do – While there are a few opportunities to just develop strategy and move on or to simply operate an outsourced project, I think you need to understand how to take ideas from concept through implementation. This means that you understand how to work with the CEO and how to work with the call center agent. Motivational – Most entrepreneurs and consultants are somewhat evangelistic and they’re always involved in the selling process (in any role). They are selling and building ahead of the curve which means they have to compel people to act. They are also working with multiple vendors and cross-functional teams that don’t report to them. Success is dependent on their people skills and the ability to motivate these different groups. I’ve found that I love business development (working with clients and vendors). I enjoy bringing ideas from concept through pilots and then determining how to scale them. I love doing research and presenting. I enjoy working cross functionally. I enjoy leading teams and pushing the envelope to get people to think different. Ultimately, I enjoy solving problems. I like being the person who’s brought in with a business challenge and can then figure out the solution – do the research, evaluate the options, create a plan, implement the plan, and create a process of continuous improvement. I think the industry is going through another inflection point which is what Mark Merritt from PCMA pointed out a few years ago is the core skill – adaptability. If you think about the trends, I think there are several key things that make this an interesting time to be in the industry. And, everyone is fighting commoditization by trying to differentiate themselves. The focus on specialty will make integration between care management and traditional PBM services critical. The complexity of care is driving a huge focus on evidence based medicine (e.g., Best Doctors or Eviti) which will eventually lead to companion diagnostics and personalized medicine. Pharma is trying to figure out their role in this new world and will start looking at creative ways to blend product and services (e.g., Merck’s investments in Vree Health). The market is full of change with new technologies and new start-ups that will lead to more unique mash-ups, and I still think you could see Google Health come back in some form. Medication adherence continues to be such a huge opportunity that no one’s cracked with over 100 vendors that I identified, and no one has figured out how to fully integrate medical and pharmacy benefits to address specialty medications. And, the fundamentals are good for the industry. The PBMs are big and need to grow so they’ll have to do some creative things. People continue to get older and take more medications. A company with an entrepreneurial (or intrapreneurial culture). A role working directly with clients (no Ivory Tower role). A mission driven organization which wants to change the world and improve outcomes. A passionate leader and team that I can learn from. The creation of the “softer, gentler” PBM is one of my predictions driven by the rise in specialty pharmacy. While generic fill rates and mail order penetration still matter to earnings, the focus across the industry is on specialty. What can we expect in terms of pipeline? How can we treat the patient not just fill the drug? This will bring back a focus on how pharma and the PBMs work together which has had a bumpy past. Initially the two were very close. Then, with the rise of generics and more trend programs like prior authorization and step therapy, the PBMs and pharma butted heads frequently. Envision just hired the former head of Accredo as their CEO. 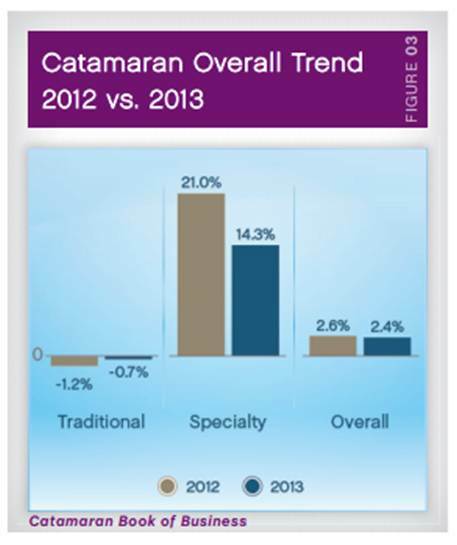 All of the trend reports focus on specialty – Express Scripts, CVS Caremark, CatamaranRx, and Prime Therapeutics. 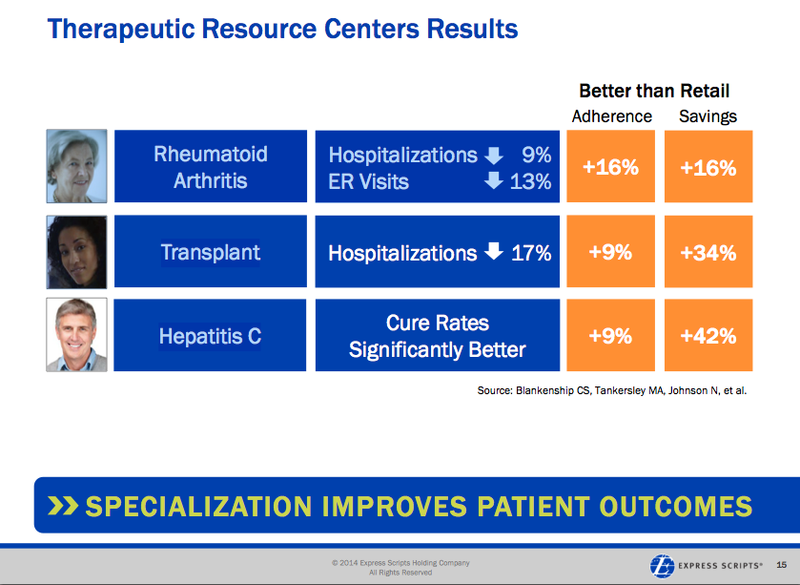 And, I think this screenshot from the Barclays Global Healthcare Conference Presentation given by Express Scripts shows that they are focused on this care and delivery intersection by continuing to show the success from the Therapeutic Resource Centers. So, what do you think? Will the PBMs become more care management focused? Will they integrate with the other care providers? Will this be the beginning of their focus on working with ACOs and PCMHs? Will this change their approach? 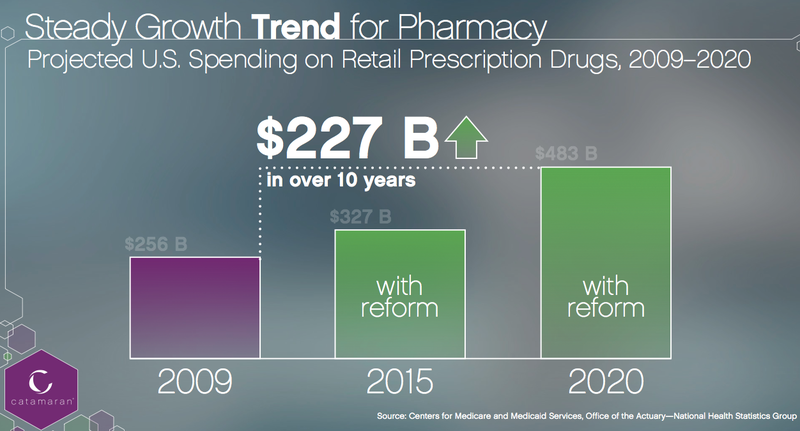 Will we see PBMs differentiating around key, chronic diseases like the specialty pharmacies have done? Will this create an opportunity for integrated PBMs (i.e., Humana, Cigna, Aetna) to differentiate? The CVS Caremark publication Insights 2014: Advancing The Science Of Pharmacy Care came out the other day. 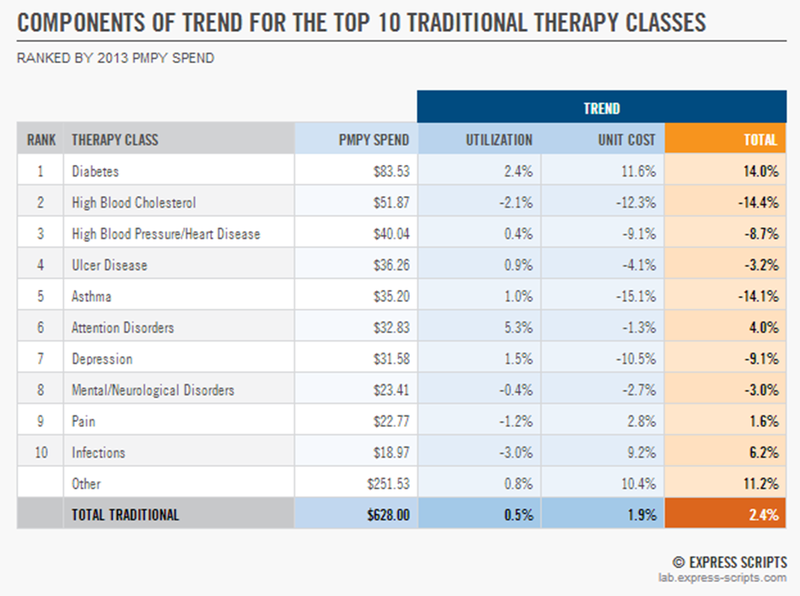 They took a different approach than the detailed trend report which Express Scripts put out. Their document is more of a white paper about “7 Sure Things”. Prescription trend is on the rise. 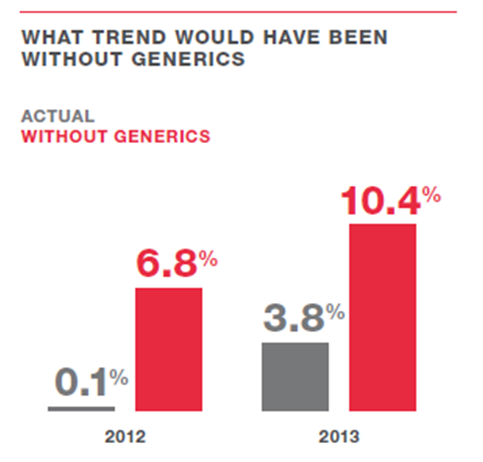 Generics have peaked…and you’re going to feel the difference. Specialty drives trend. But do you know how much? Price is King…Not much of a surprise there. Money matters to members. Cost share does influence behavior. Adherence is the answer. No one said it was going to be easy. If you’re managing a pharmacy program and you’re surprised by any of these, I would suggest you look for another job. While utilization was up 2.1%, the primary driver was price which increased 8.2%. These factors were mitigated by a 6.0% change in mix. I like the chart below which shows trend with and without generics coming to market. 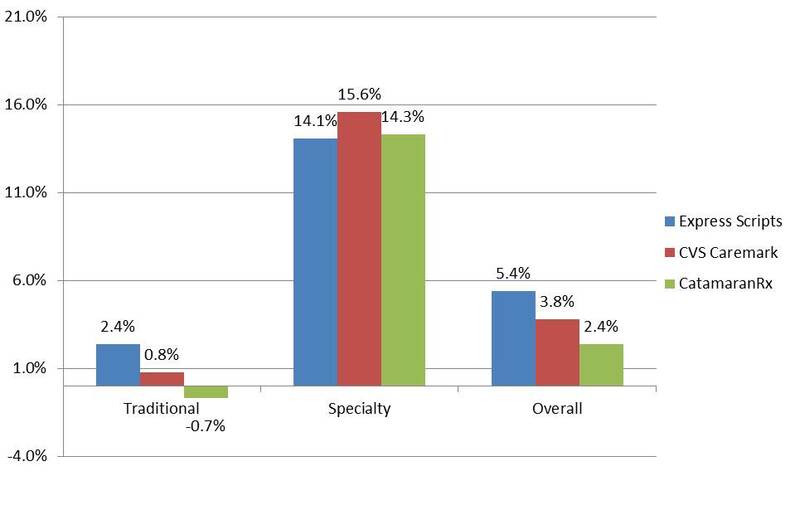 Of course, specialty continues to be the real story in all the PBM reports. They share the AWP trend broken out below and give some crazy examples of AWP price inflation (e.g., 573% for clomipramine) with some explanation for why this happens. 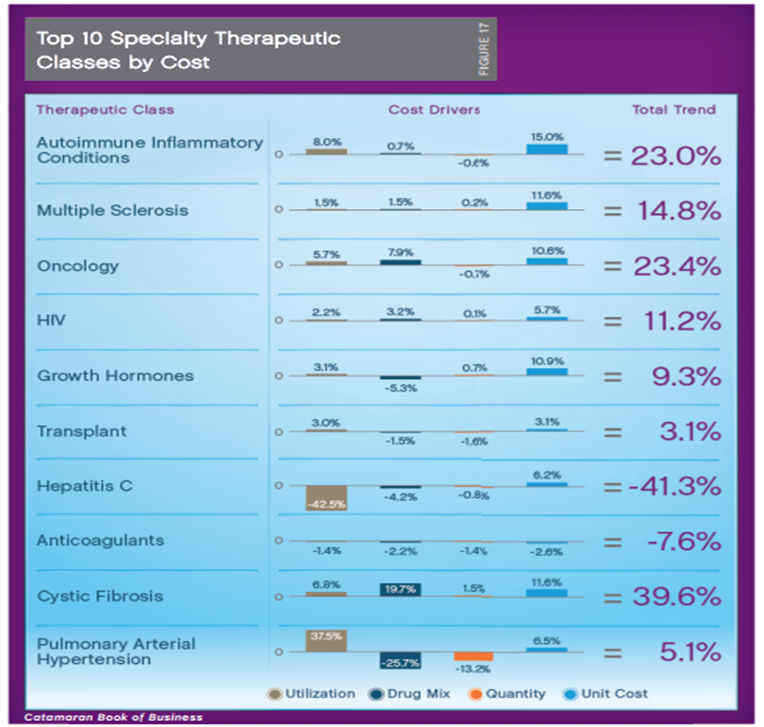 Here were their top 10 specialty drug categories. The top 5 are the same as the CatamaranRx list, but the bottom 5 are in a different order. On a scary note, they predict that Rx trends may jump back into the double digits for the next 4 years. At the end, they give 5 sure strategies that clients should do. Overall, this was certainly the easiest “trend report” to read. It tells a clear story which is probably great for the average client and would drive more discussion with your account manager. Is Your PBM Really Different? But, as I’ve seen, value isn’t just about cost. That maybe one leg of the stool, but you need to improve outcomes and the consumer experience (i.e., The Triple Aim). With that in mind, I created a checklist of what I want to know to see if a PBM is really different. Engagement – What channels do you use to engage the consumer? How do you integrate those channels? What percentage of members engage with you when you outreach to them? What is your A-B testing strategy? What consumer insights can you share with me? How do you measure engagement (e.g., PAM score)? What is your segmentation approach? Do you have someone in charge of the consumer experience? Can you show me your customer journey maps? Digital – What is your digital strategy? What percentage of your members have downloaded your app? How often do they use it? Why do they use it? How long do they keep it on their phone? What value do they get from it? How are you using other channels? 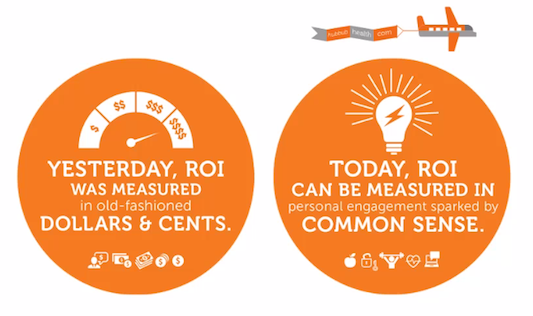 Are you using social media with a purpose or just trying everything (see new whitepaper on digital transformation)? Where do you members congregate online? How does this vary by age, gender, condition, number of Rxs, etc.? Does your involvement make a difference in engagement, outcomes, adherence? Innovation – What’s your biggest innovation? Are you making money off it? How does it help you sell? How does it help your customers to differentiate themselves? Do you have a budget? Resources? Is it just an ivory tower exercise? How do you sustain it? How are you using crowdsourcing? Are you working with any VC firms or incubators to develop new ideas? What percentage of ideas come from your clients? From your employees? What’s your innovation funnel look like? How many ideas die after a pilot? Are you able to scale pilots that are successful? 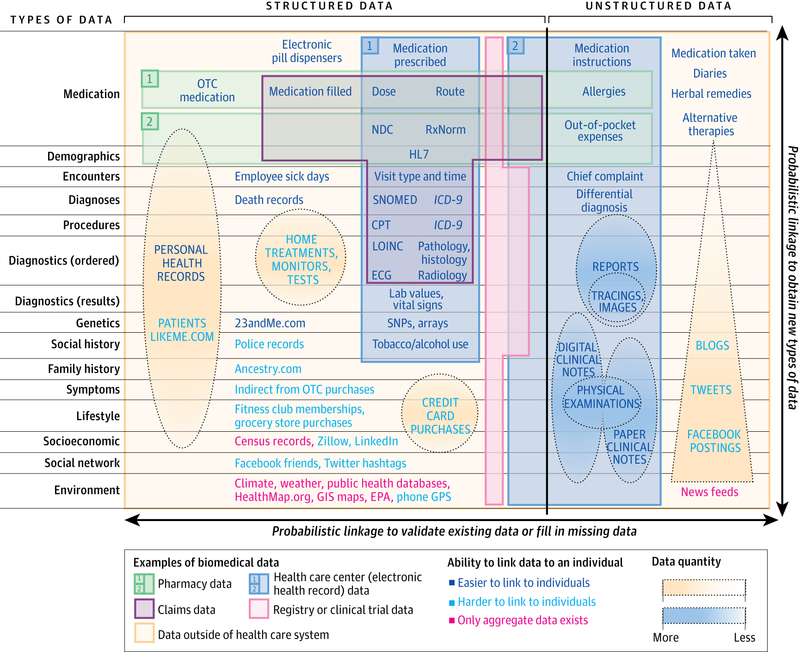 Big Data – What types of data do you get – medical, lab, EMR, patient reported, device? Do you buy data? How do you integrate this data? Do you have predictive models? How are they used? Do you have published studies on the results? What insights have you gained from the data? How have you integrated the data into your solutions? How do you move things from data to insights to action? Integration – What type of integration do you have – with POS systems and retailers, with physicians and practice management systems, with providers and EMRs, with mobile solutions, with remote monitoring companies? How do you create a simplified consumer experience across the care continuum? 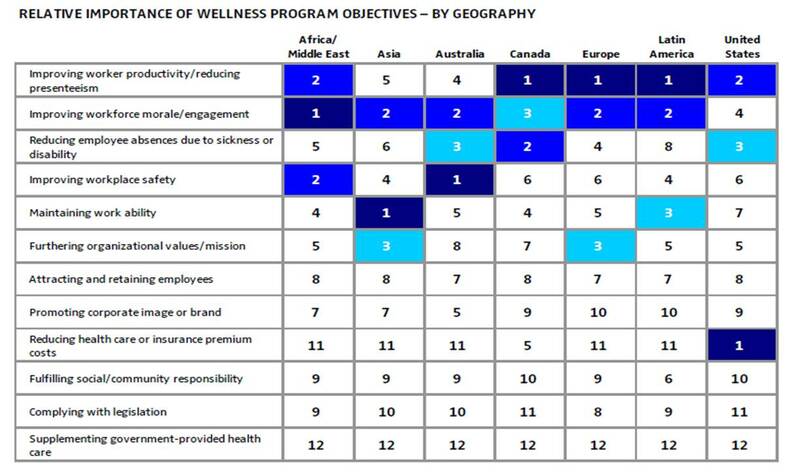 Are you working with wellness and disease management companies? Are you coordinating care for complex patients? Do you provide support for cancer survivors? How do you work with pallative care companies? How do you support the family or the caregivers? Partnerships – Who are your partners? How does 1+1=3? What’s unique about the relationship? How do customers benefit by your relationship? How do consumers benefit? How do providers and pharmacies benefit? Physician Strategy – How do you work with physicians? What data do you give them about their patients? What insights do you give them? Do they just see you as a block or have you found a positive way to collaborate? What do you do to influence physician’s prescribing habits? How are you working with physicians to address adherence? How are you using your data and predictive models to integrate them into providers evidence-based medicine algorithms? Outcomes – What programs do you offer to clients and consumers that are focused on an outcome that may reduce Rx utilization? How do you work with dieticians or social workers? What percentage of your members have a PDC of greater than 80%? How do you track lab values and clinical values versus just an Rx count? What are you doing to reduce readmissions? How are you impacting all of the STARS measures (not just the pharmacy ones)? Pharma – How are you working with pharma? Are you helping them to extend “beyond the pill”? How early do you get involved in their pipeline? For complex conditions, are you helping them to demonstrate outcomes? Are you looking at how to collaborate with key medications – e.g., oncology? 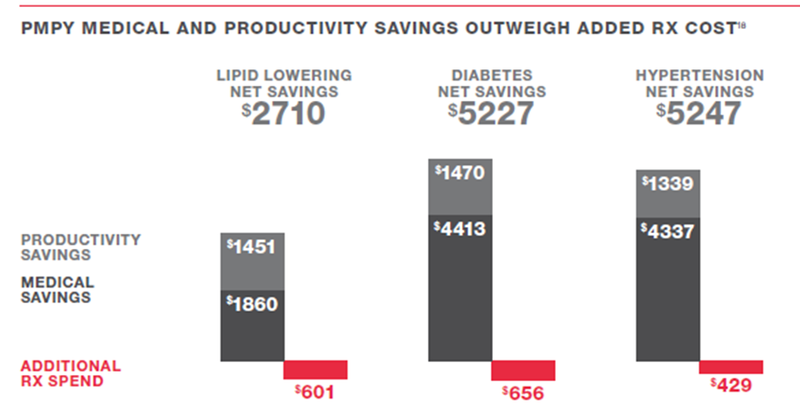 Have you looked at how to blend care with prior auth with Rx for conditions like obesity? Payment – What’s your approach to transparency? Is it just pass-through pricing? Do you do risk based pricing? How? How do you contract with pharma? Have you worked directly with any ACOs? Have you taken risk? This isn’t new…I’ve been talking about this for years. Here’s my whitepaper on this from 3 years ago. And, here’s a presentation that I’ve given on this topic at several conferences. One of the early comments in the document caught my eye. While simple, it is still so true in healthcare. Their trend numbers were lower than Express Scripts and CVS Caremark. They did a good job of tackling the impact of healthcare reform on the PBM marketplace and why this creates more opportunities. They point out that no true biosimilar has been approved in the US (which I didn’t realize). They also point out that international experience is that biosimilars will save 10-15% not the 40% projected by the CBO. 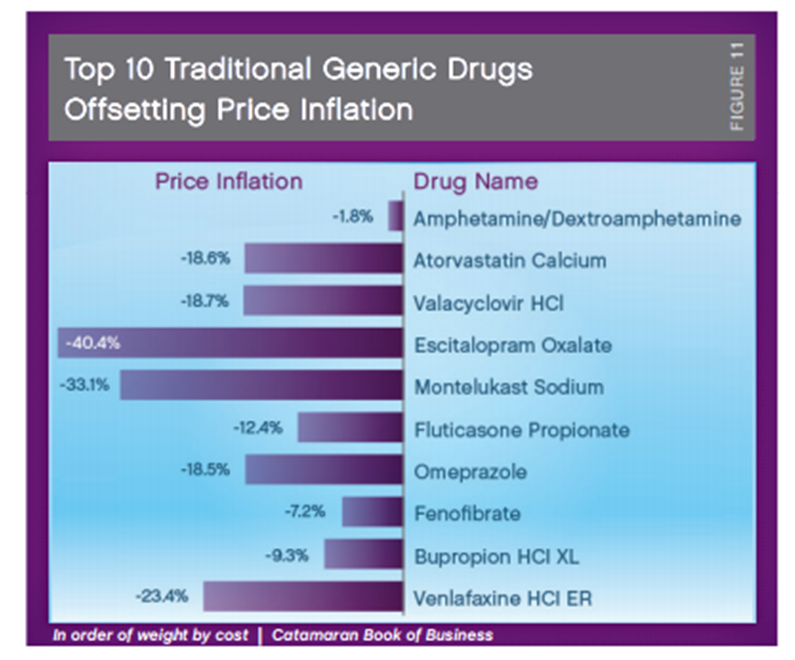 They have nice clean charts around price inflation (deflation) for brand and generic drugs. 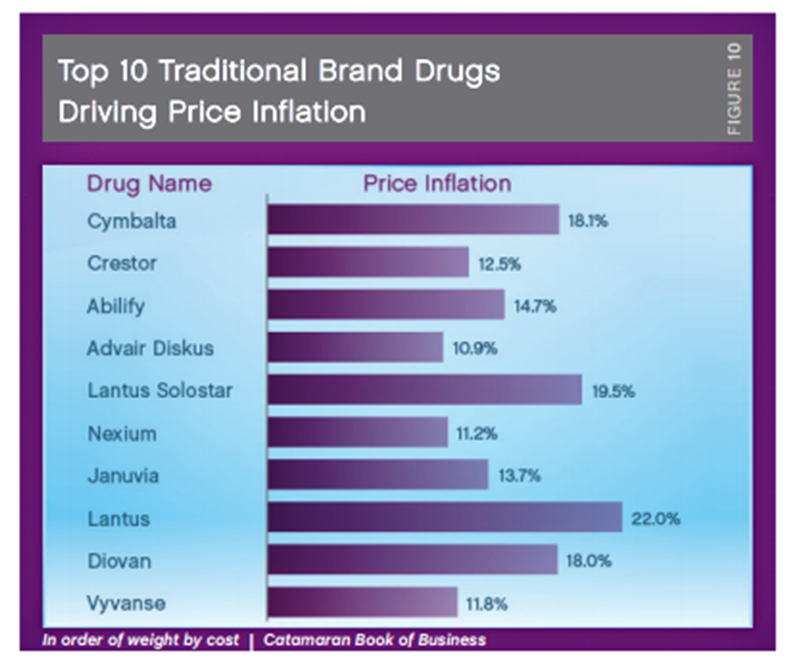 The average cost of a specialty drug rose to $2,860 in their book-of-business. 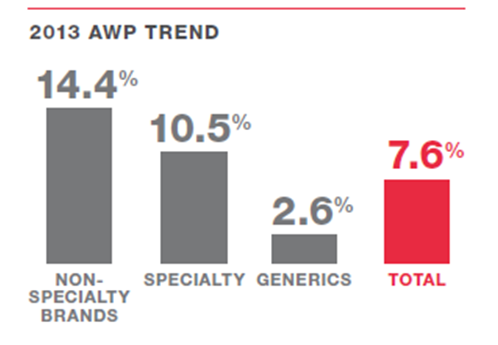 The top 10 specialty drug classes represent 86% of specialty drug spend. The report talks about medication adherence using PDC (proportion of days covered). They show some good adherence rates in key classes (which always brings up questions about methodology). o Over what time period? o Is this all members prescribed an Rx? o Is this all members with one Rx? o What is the percentage of members with over 80% PDC (versus the average PDC)? Here’s their forecast for the next few years in terms of trend. They are projecting a generic fill rate of as high as 90% by the end of 2016! o Member risk scoring and personalized interventions. o Tailored clinical programs, including step therapy, quantity limits and prior authorization. o Aggressive management of controlled drugs to reduce misuse and abuse. o Formulary management tailored to address client-speciﬁc, high-cost medication classes. o Exclusive specialty through BriovaRx, a high-touch, patient-centric model. 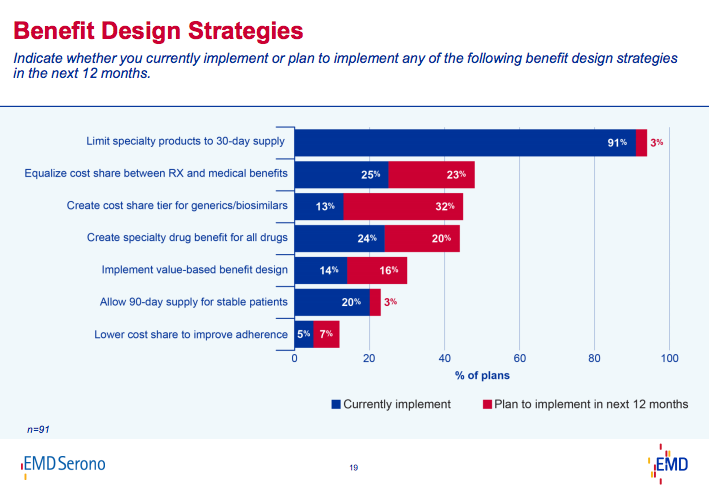 o Plan designs with copay diﬀerentials that promote cost-eﬀective choices. 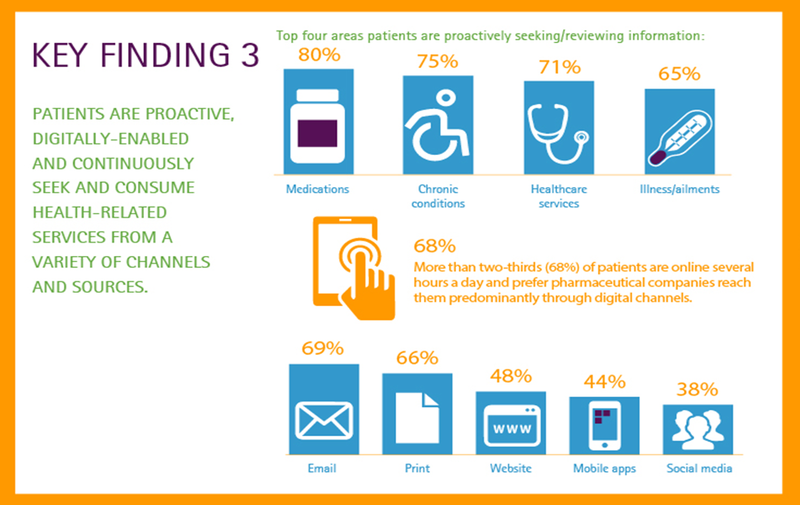 o Multi-channel communications that engage members in their healthcare. I was excited to see them dedicate a whole section talking about engagement. o The need for the right message. o The need for targeting algorithms. o The need to vary channel based on preference. They share some details on their hospital discharge program which sounds right from a PBM perspective – focused on medication reconciliation and adherence. My key question would be understanding if they address the other risks of re-admission while they have the patient on the phone (i.e., treating the patient not the Rx and not the disease). I haven’t heard as much about MTM lately so it was nice to see them talk about it and see some results which seem really good. This seems to be a much improved document than the one I reviewed years ago from SXC. My only challenge with the format was that it prints the two pages on one page in the PDF (but that could be user error). The methodologies used by each PBM can and may vary. Therefore, these are not necessarily perfect comparisons. The client mix by PBM does matter (see chart below from the CVS Caremark report this year which shows the differences by client type). Here are the summaries from the 3 Drug Trend Reports showing the trend in PMPM costs based on traditional categories, specialty medications, and an overall trend. 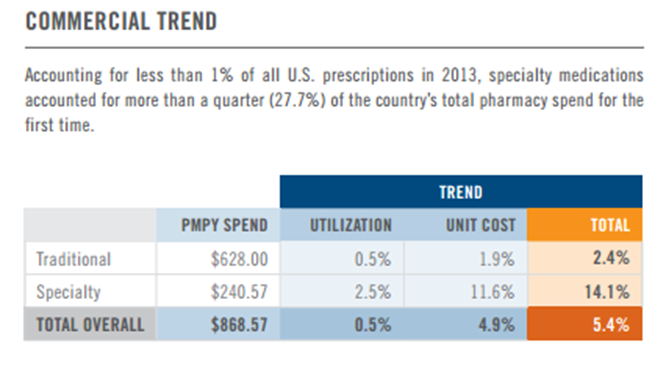 I always enjoy reviewing the PBM Drug Trend Reports. Even though these past two years I’ve been focused more on the care management side of healthcare, I continue to see these two paths colliding in interesting ways in the near future. Overall trend was 5.4% which they did a nice job of breaking out according to different lines of business. 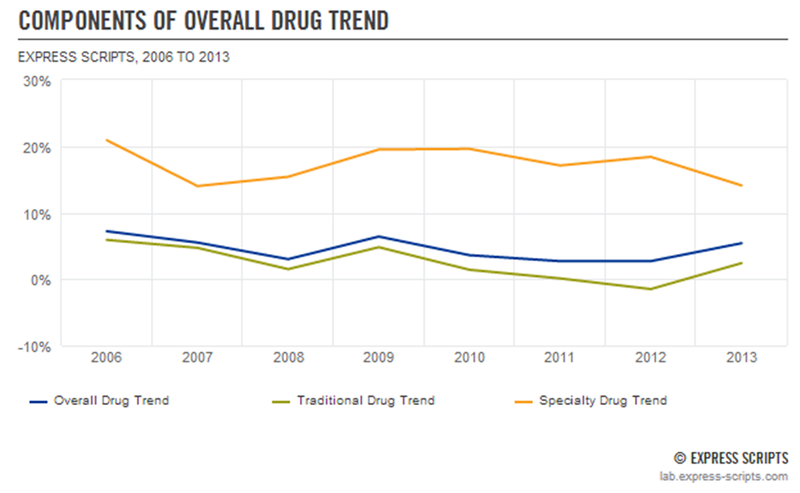 They also showed the breakout of trend comparing specialty drug trend versus traditional oral solid medications. Specialty trend was up 14.1% based on a 2.5% increase in utilization and an 11.6% increase in unit cost. 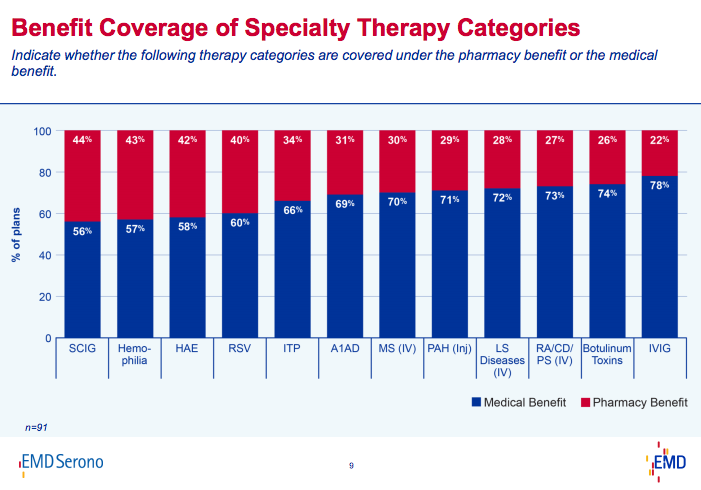 A key point is that specialty now makes up 27.7% of the total drug spend for a payer (and that doesn’t even count the ~50% of specialty drugs billed under the medical benefit). While they make a key point with data that member cost share is going down and actual out-of-pocket costs are only going up marginally, I think it ignores the reality that consumers are feeling the pain of out-of-pocket spending more especially with all the High Deductible plans out there. On top of being able to drill down on Medicare and Medicaid, you can also look at a Worker’s Compensation specific version of the drug trends. This is interesting since that business is different than the traditional PBM market and is an area that Express Scripts has gone aggressively after in recent years. One thing I couldn’t find in the document (which is hard to read in the current format) is the average number of Rxs PMPM or PMPY which is just a good stat that I personally track. You can see companies building innovation teams and innovation labs within healthcare. You see lots of new entrants trying to figure out how contribute in this space (e.g., Qualcomm Life). But, some of these just become ivory towers where they pontificate and put out cool ideas. Others disappear because they can never be commercialized. Others fall into the “fast fail” bucket of companies, and only a portion of those actually innovate well. With that in mind, I was reading two reports which I thought I’d share with some initial reactions. 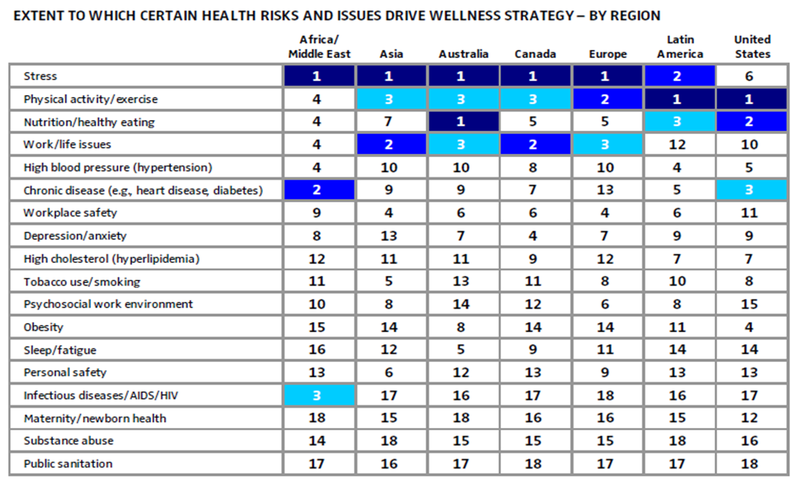 The Boston Consulting Group report “Fulfilling the Promise of mHealth Through Business Model Innovation”. There were some things missing that I personally would have called out. What about learnings from prior models like electronic prescribing? What about things like EMR integration and the difficulties there? What about the issue of privacy and security? What about the fact that people abandon devices and apps very quickly? What about learnings from gamification or incentive management? What about the whole issue of FDA approval of apps and devices? 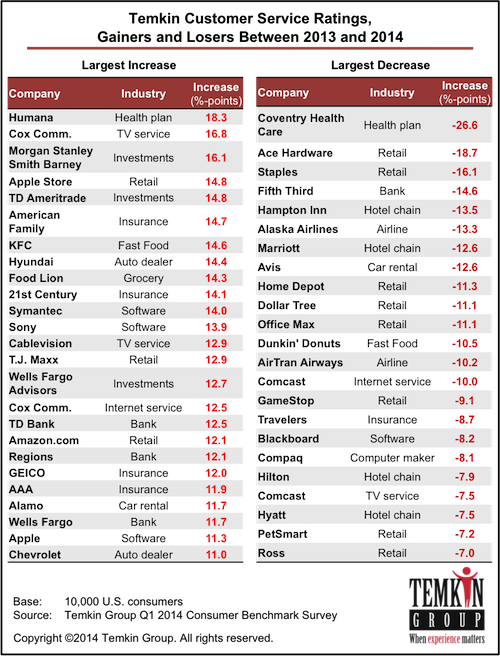 What about what the large companies are doing – Aetna, Cigna, CVS, Walgreens, WalMart? I think understanding their view of this market is so critical. Triple Tree report “Connected Health”. The report shares an interesting stat that 45% of the companies that applied for their rewards were led by MDs in 2009 while it’s only 21% now. To me that shows the movement of IT and business executives into the healthcare space. Triple Tree does talk about remote monitoring and CMS which I think is important. While the Veteran’s Administration was mentioned in the BCG report, I think that the government efforts here and influence was generally overlooked. Overall, two interesting reports. Worth a read although I would choose the Triple Tree report over the BCG one if I had time to only read one. Short answer = they appear to understand the customer experience. Obviously some companies like CVS and Walgreens are both retailers and pharmacies. They are clearly in the healthcare business and with CVS stopping selling cigarettes, they are clearly trying to show their commitment to healthcare. Other retailers like Walmart are clearly in the pharmacy business. They’ve also done lots of different programs around healthcare, and there are always rumors of more. And, they are also in the grocery business. Target is an example of a retailer that has gotten into the pharmacy and clinic business and now in the grocery business. Kroger is a very traditional grocery store company who has had pharmacies (like about 50% of grocery stores) and has made several steps to get into the healthcare space. 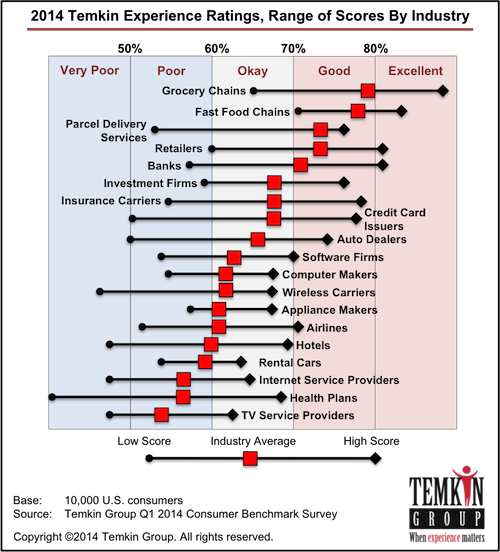 I tee this up because whenever I see the Temkin Experience Ratings I’m always amazed that the grocery chain with the worst experience rating is similar in value to the best healthplan experience. I think by now we all understand that the healthcare experience actually matters…and will matter even more in an exchange world where they have more freedom to find a plan that works for them. We’ve seen some companies focus on this (e.g., Cigna with their Chief Experience Officer who is now the Chief Experience Officer at Prime Therapeutics). You can see PWC’s report on this and also compare different industries to healthcare. You can go and visit this deck on 13 great healthcare experiences. At the end of the day, the healthcare experience is one leg of the Triple Aim and is a key opportunity for differentiation. You’ll hear this buzzword – “beyond the pill” – come up every once in a while in a discussion with a pharmaceutical manufacturer. As the drug pipeline has dried up and generics have become the norm for oral solid medications, the question is how do these behemoth companies “pivot” to leverage their massive global footprints, their feet on the street, their deep disease specific insights, and their medications. I’m a big believer in this strategy. Imagine what they could do in terms of services to wrap around obesity drugs. Imagine how they could support patients with diabetes or with cancer. While the short-term view is that these actions might help differentiate them from a formulary or specialty pharmacy perspective, I would argue that they might actually come out with new business models like Merck is doing with Vree Health. What is the patient journey? Where is the patient (especially from a digital perspective)? What are the patient’s expectations for you (pharma) or another entity? How do the other constituents in the care team interact with you? With the patient? How do you create a culture of empowerment, consumer focus, and transparency to really understand the needs of different constituents, react to them internally, and embrace issues dynamically? In this consumer experience space, I often look to Bruce Temkin’s work and research. He does a great job at a cross-industry perspective. In healthcare, I’ve been very motivated by the work of Ingrid Lindbergh who was at Cigna and then moved to Prime Therapeutics. She’s my role model for what I want to do in a large healthcare company. Two things got me thinking about this topic. First, I was struck this weekend that there was research showing that people who struggle to buy food for their families are non-adherent. I really hope that anyone in this field wasn’t surprised by that fact. Of course, the struggle is that everyone working in the field is often constrained by their view of the world which often doesn’t include much experience with poverty. Second, I was sent a new research piece by Accenture called “Great Expectations: Why Pharma Companies Can’t Ignore Patient Services”. It made me think about Dennis Urbaniak’s move from Sanofi where he was leading a lot of innovation to a Managing Director at Accenture. Perhaps, he will bring some of this type of innovative thinking to more pharma companies.